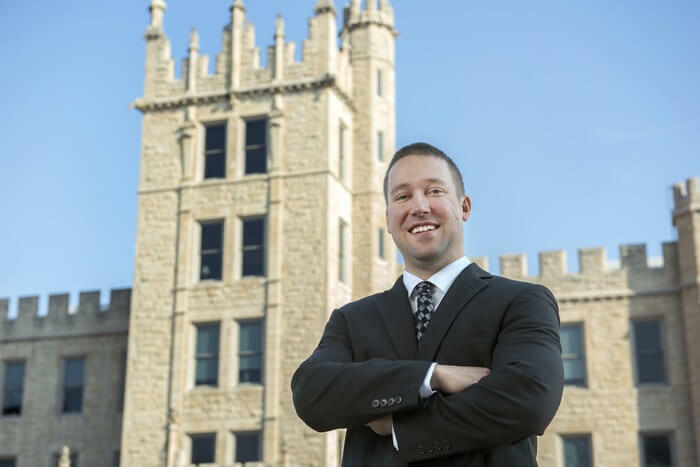 An NIU alum is bringing his talents back to campus to oversee accounting and financial reporting and to ensure the university is in compliance with numerous regulatory agencies. Jason Askin joined the Division of Administration and Finance on Monday, March 18, and is settling into his new role as controller. Askin earned a Bachelor of Science degree in accountancy from NIU in 2006 and went on to get an M.B.A., with an emphasis in finance, from North Central College in Naperville. He says the strong reputation behind NIU’s accountancy program gave him a foot in the door, early on in his career. Askin worked at Sikich LLP in Naperville prior to coming to NIU. At Sikich, he specialized in audit, compliance and financial reporting for governmental entities. His primary responsibilities included supervising audit fieldwork teams, preparing and reviewing financial statements, assessing internal controls, and developing guidance on how to implement new audit and accounting standards – all skills that will help him adjust to his new role with ease. Shyree Sanan, assistant vice president of Finance and Treasury, says Askin’s technical skills and ability to manage large complex data in highly regulated environments made him stand out for the position. Sanan says being an NIU graduate is an added bonus for Jason because it gives him a special sense of loyalty to the institution. Askin agrees and says NIU holds a particularly special place in his heart.